Tue., 12 Nov. - Mon., 25 Nov. Tue., 12 Nov. - Tue., 26 Nov. Mon., 11 Nov. - Mon., 25 Nov. Tue., 21 May - Wed., 12 Jun. Thu., 7 Nov. - Tue., 26 Nov. Thu., 19 Sep. - Thu., 3 Oct. Thu., 14 Nov. - Sat., 7 Dec. Sat., 9 Nov. - Sun., 24 Nov. Thu., 3 Oct. - Wed., 6 Nov.
Fri., 7 Jun. - Mon., 17 Jun. Wed., 13 Nov. - Wed., 18 Dec. Thu., 3 Oct. - Sat., 26 Oct.
Fri., 8 Nov. - Sun., 1 Dec. Sat., 7 Sep. - Tue., 24 Sep.
Fri., 27 Sep. - Wed., 23 Oct. Tue., 30 Apr. - Sat., 1 Jun. Fri., 31 May - Mon., 10 Jun. Wed., 22 May - Mon., 10 Jun. Thu., 7 Nov. - Sat., 30 Nov. Thu., 20 Feb. - Tue., 10 Mar. Sun., 15 Sep. - Mon., 30 Sep. Sat., 1 Jun. - Thu., 4 Jul. 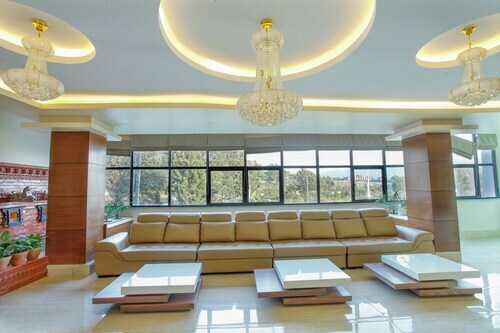 See all 821 properties in Tribhuvan Intl. 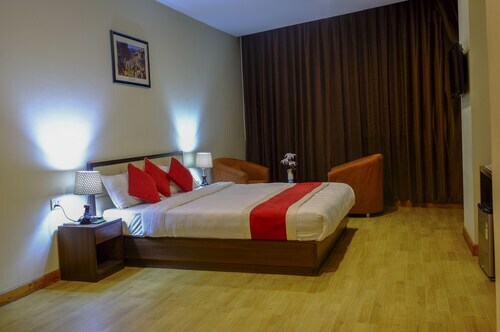 This family-friendly Kathmandu resort is located near the airport, within 1 mi (2 km) of Chabahil, Pashupatinath Temple, and Boudhanath. Royal Nepal Golf Course and Guhyeshwari Temple are also within 2 mi (3 km). 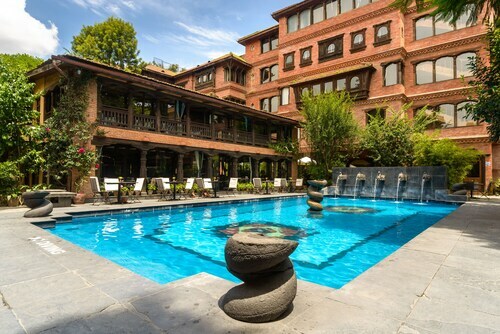 Located in Sinamangal, this luxury hotel is within 1 mi (2 km) of Royal Nepal Golf Course and Pashupatinath Temple. Boudhanath and Patan Durbar Square are also within 3 mi (5 km). 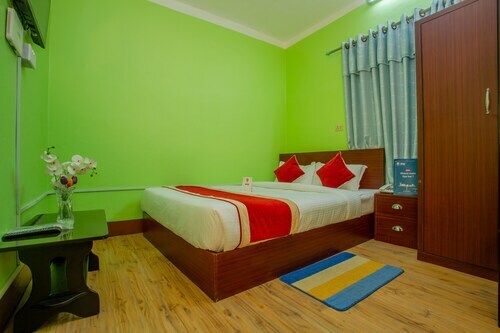 Located in Sinamangal, this hotel is within 1 mi (2 km) of Royal Nepal Golf Course and Pashupatinath Temple. Boudhanath and Garden of Dreams are also within 3 mi (5 km). 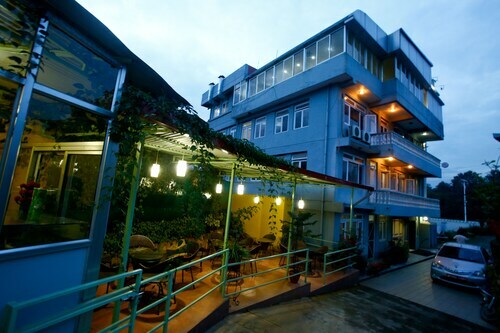 Located in Sinamangal, this hotel is within 1 mi (2 km) of Royal Nepal Golf Course and Pashupatinath Temple. Boudhanath and Patan Durbar Square are also within 3 mi (5 km). 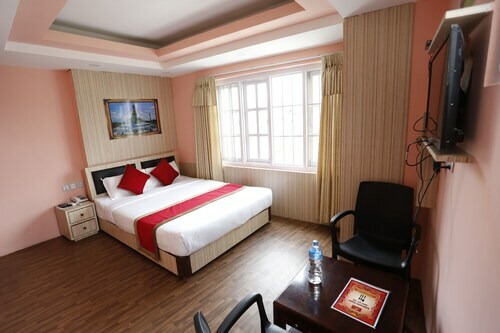 Located in Sinamangal, this golf hotel is within 1 mi (2 km) of Royal Nepal Golf Course, Pashupatinath Temple, and Guhyeshwari Temple. 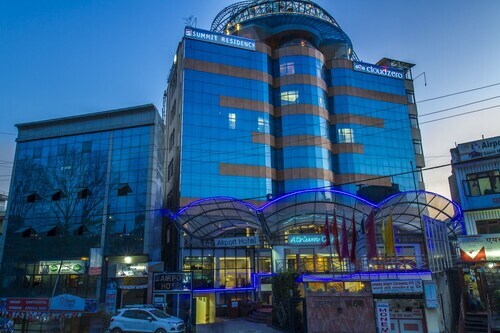 Situated near the airport, this luxury hotel is within 1 mi (2 km) of Royal Nepal Golf Course and Pashupatinath Temple. Boudhanath and Garden of Dreams are also within 3 mi (5 km). Answer : The cheapest day to fly from Vancouver to Kathmandu is on Thursday. So, if you are trying to save a bit of cash on your next getaway look for flights on that day. Question : How much is a plane ticket to Kathmandu (KTM) from Vancouver (YVR)? Answer : They vary anywhere from $710 to $4,846. Booking in advance can typically help you get the cheapest rate. Prices are usually lower the further out you book. Question : What is the cheapest airline flying from Vancouver to Kathmandu? Answer : China Eastern Airlines strives to keep costs down for their passengers over the next three months. Fares are being booked at just $710, which is a great deal when compared to the more expensive bookings of $4,846. Answer : Yes, you can adjust your departure or arrival date. If you want to save some funds in doing so, the lowest-cost day to fly in April is Thursday. You might think you're missing out leaving a day earlier, but we see it as just adding saving towards your next getaway. Question : What airports do you fly into for Kathmandu? Answer : Vancouver International Airport is a terrific airport, but there are cheaper ways to get to Kathmandu— Victoria International Airport. It's 40 miles away from Vancouver International Airport and flights are 27% cheaper over the next few months. Question : How long do most people stay in Kathmandu on average? Answer : Of course, you are not most people, but if you were, you'd stay about about two weeks.